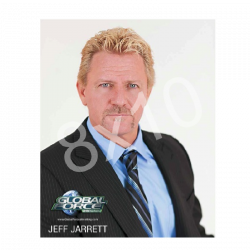 Jeff Jarrett looking stunning in his suit! This 8x10 is autographed by Jeff! For a personalized 8x10 to the name of your choice, enter the name below in the "Personalization" box for an additional $5.00. Please allow extra time for delivery of personalized orders.